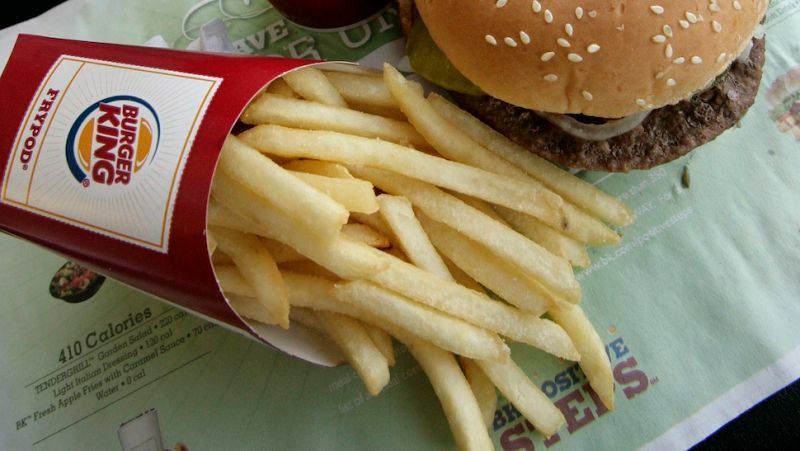 Burger King, the fantastic land where you can find weed and razor blades in your burger, will begin selling “Satisfries” Tuesday, a crinkle-cut french fry with 20 percent fewer calories than their regular french fries. A small order of Satisfries will contain 270 calories as opposed to a 350-calorie small order of their regular fatty-fat fries. So what’s the difference between regular fries and Satisfries? They will also cost more as a small order of Satisfries will be $1.89 compared to $1.59 for regular fries. But there is good news for fry purists and everyone who will complain about the abomination that is “healthy” fast food: no one will ever order Satisfries because no self-respecting person will ever want to say “Satisfries” aloud. Ever. Fine, maybe in the drive-thru once, but only because no one will see you.